Walters was an undergraduate intern who majored in Plan II Honors, focusing on American Literature, World War II History, and German Language. This image captures the dramatic scale of the Crystal Palace, built to house the Great Exhibition of 1851, the first international world’s fair. It was the largest glass building at the time, covering 990,000 square feet of Hyde Park in the middle of London, and so tall that it could enclose whole elm trees. The photograph was taken at the end of the exhibition, before the palace was dismantled and rebuilt in the suburb Sydenham, south of the city, as an even grander permanent exhibition space. The Great Exhibition had been envisioned by Prince Albert to show off the wonders of British technology, and the Crystal Palace itself was one of the greatest wonders on show. Designing a building to house the more than 14,000 exhibits of the Exhibition had been a long and difficult process. Until the planning committee accepted Joseph Paxton’s winning design in July 1850, they had rejected every submitted proposal as too expensive to build, in addition to a design that they themselves had created and that had been ridiculed by the press. Paxton was one of the most respected gardeners in the United Kingdom and had ample experience creating large greenhouses. His Crystal Palace design took advantage of a newly invented process for mass-producing sheet glass. Held together by cast iron supports, 900,000 square feet of glass were used to create a modular structure at a cost less than half of many of the other designs. The modular design also allowed Paxton to make changes as needed; the transept in this picture was specially created to enclose a line of elms that otherwise would have been cut down. The final structure was 72 feet wide, more than 1,800 feet (six football fields) long, and up to 100 feet high, but Paxton was able to construct it on budget in only five months, in time for the opening of the exhibition on May 1, 1851. Among its other attractions, the exhibition included one of the first large-scale displays of photographs anywhere in the world: over 700 photographs from six different countries. Photographer Benjamin Brecknell Turner was likely one of the people who saw these photos. In 1852, he photographed the Crystal Palace with a large-field camera, creating some of the most dramatic architectural compositions of the Victorian Age. Turner had gained a license to use William Fox Talbot’s calotype technique in 1849, and he preferred to use this method for all of his large-scale 30 x 40 centimeter paper negatives from then on. With his new camera, he was able to capture the Crystal Palace in striking detail, and he became one of the pioneers of photography’s early era. This image forms a part of the Ransom Center’s Gernsheim collection, which documents the history of photography from the First Photograph (ca. 1826) until the 1960s. Ransom Center volunteer Emilio Englade wrote this post. 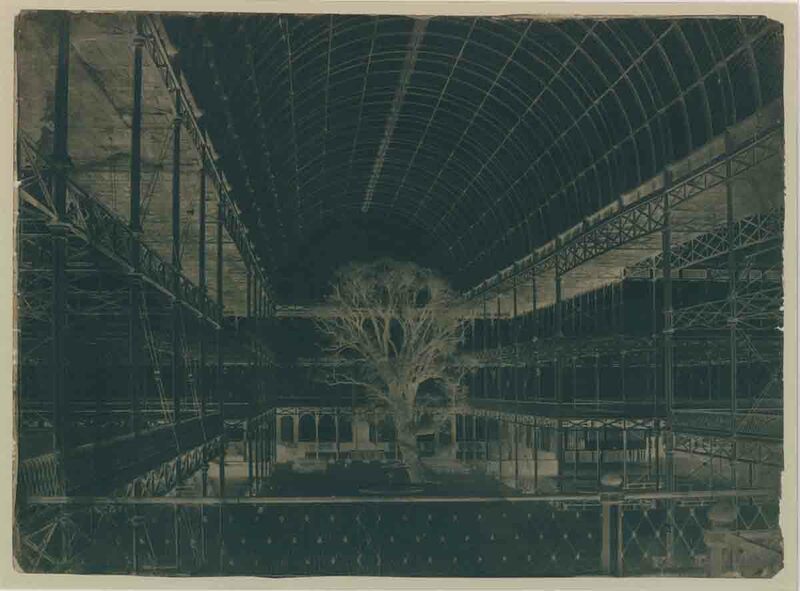 Image: From the original calotype paper negative of “Transept of the Crystal Palace,” Benjamin Brecknell Turner, March 1852. The Ransom Center’s archives are full of treasures waiting to be pulled off the shelves. But once paged from the stacks, some of those treasures prove difficult to handle. 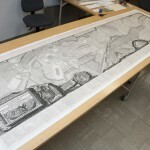 Such was the case with Giovanni Battista Piranesi’s enormous 1786 print “Pianta delle Fabriche Esistenti Nella villa Adriana.” The 10-foot wide map of Hadrian’s villa is a popular item at the Ransom Center, but its impressive size complicates the process of sharing it with students and scholars. 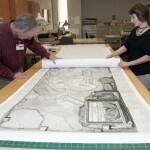 Now, thanks to treatment efforts undertaken by Ransom Center conservators, the map is far more accessible. Previously, a complex set of folds allowed the print to fit, attached to a stiff paper stub, inside its book. The setup was not optimal: long-term folds left significant creases in the print, and the stub attachment was unwieldy and damaging. The conservation team had a better idea. 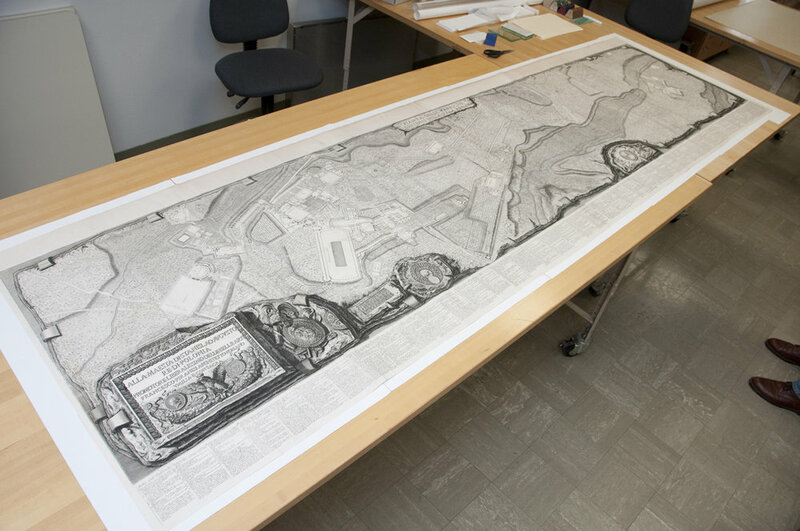 Conservators cut the map away from its stub and carefully unfolded the map onto a large work surface, where it was cleaned of superficial dust and grime. The creases were relaxed by a textile humidifier and then flattened under a weighted drying system. 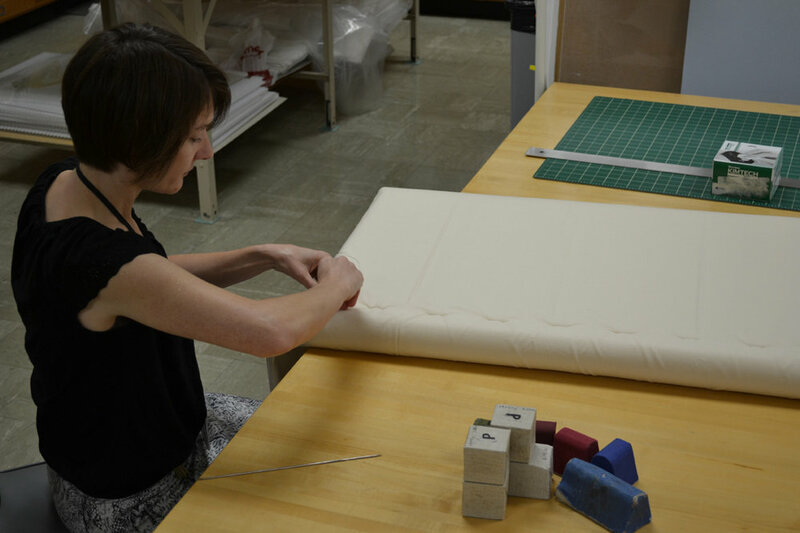 Conservators also mended small tears in the print using long-fibered Japanese paper and wheat starch paste. Next, Heather Hamilton, Head of Paper Conservation, was tasked with creating a modified tube around which the print could be rolled. Her objective was to eliminate the need for folding, thus protecting the item from potentially harmful creases. 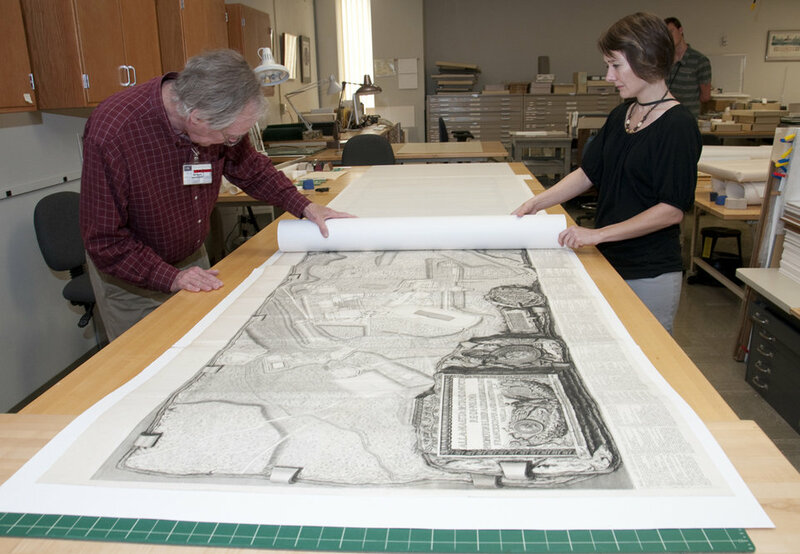 Given the print’s large size, a standard tube would be too large to house on a shelf within the stacks. Hamilton’s answer was to roll the map onto a flattened, space-saving pad. The pad consists of four layers. A corrugated board forms the core, which is then wrapped in thick foam. An outer layer of soft, thin Volara foam envelops the interior, which is cocooned by airplane cotton just below an exterior cloth surface. Hamilton used a giant needle to sew through the many layers, ensuring that everything was well-secured. Finally, Preservation Housing Manager Apryl Voskamp created a custom archival box to house the print and its pad. The new lidded box has a layer of protective Volara foam and a drop front, which allows the print to slide out easily without risk of harm. 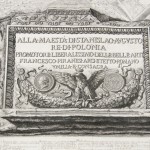 The map of Hadrian’s villa is frequently used by classes in the University’s School of Architecture, where students learn the importance of structure and accessibility. Applying those same concepts, Ransom Center conservators have brought new life to the map of Hadrian’s villa. 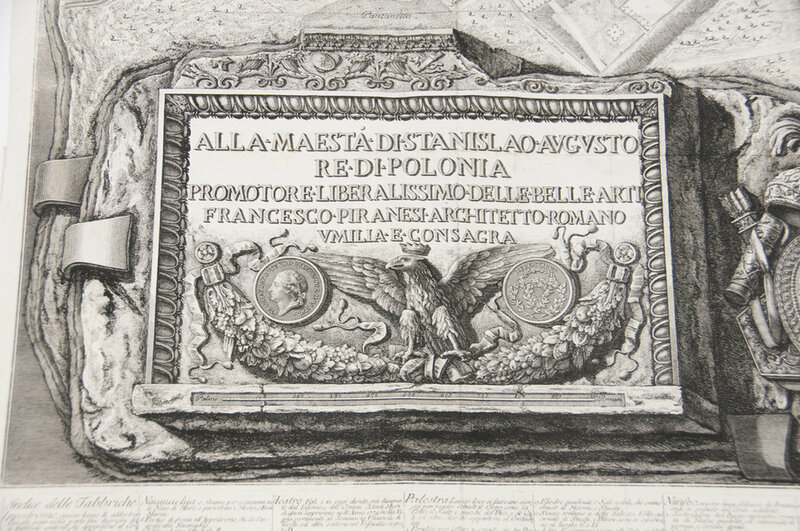 A drawing in the corner of the print of “Pianta delle Fabriche Esistenti Nella villa Adriana.” Photo by Pete Smith. The print is 10 feet wide when unfurled. Photo by Pete Smith. 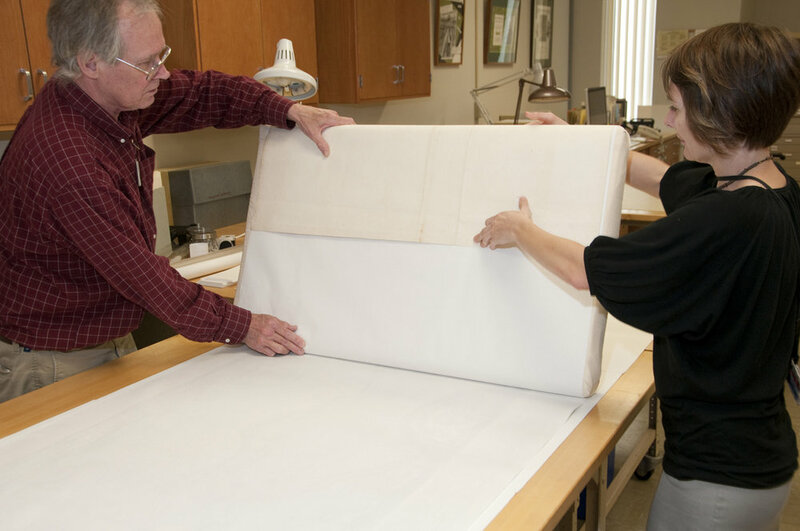 Head of Paper Conservation Heather Hamilton prepares the custom pad around which the map will be rolled. Photo by Pete Smith. Hamilton uses a large needle to stitch the pad together. Photo by Pete Smith. 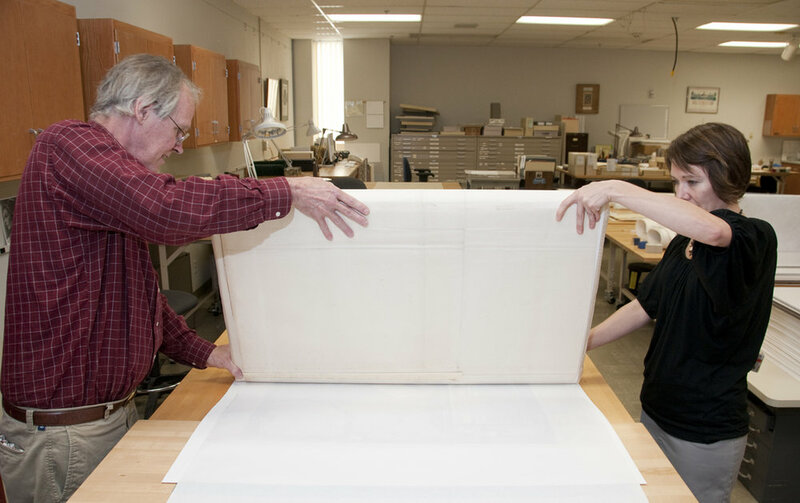 Associate Director for Conservation and Building Management Jim Stroud and Hamilton carefully roll a protective layer of paper on top of the map. Photo by Pete Smith. Stroud and Hamilton wrap the print around the custom pad. Photo by Pete Smith. The map is rolled precisely to prevent creases. Photo by Pete Smith. Hamilton secures the map, which is now ready for storage in its custom archival box. Photo by Pete Smith. 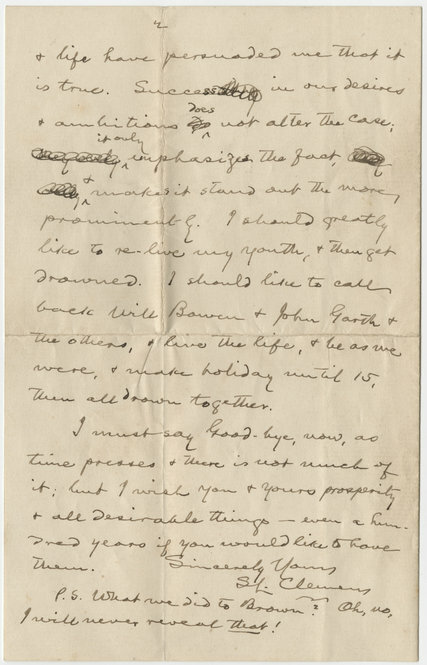 When Samuel Clemens—better known by his pseudonym Mark Twain—penned a letter in London in 1900 to the widow of his childhood best friend in Austin, he had no idea that it would be preserved more than a century later in the Harry Ransom Center’s archives just four blocks south. 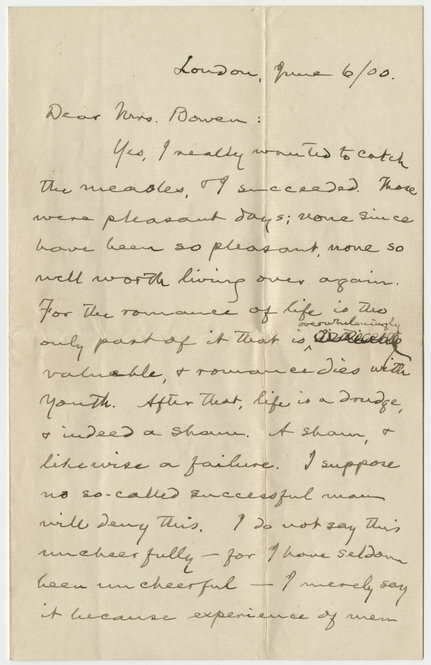 Today the letter resides in a collection of Twain-related materials that features correspondence with longtime friends and others, including one from Clemens to P. T. Barnum. 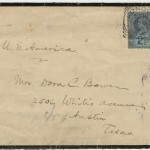 This letter’s addressee, Mrs. Dora Goff Bowen, lived at 2506 Whitis Ave. in a neighborhood just north of the burgeoning University of Texas campus. The address, now home to The University of Texas at Austin’s hulking Jesse H. Jones Communications Center, has an interesting past. A few years after Clemens wrote the letter, 2506 Whitis became the site of one of the University’s first sorority houses, that of the newly organized Pi Beta Phi chapter. Two lots down the street lay George Littlefield’s still-new Victorian mansion, built in 1893, which maintains a grandiose presence on campus to this day. Clemens’s letter to Mrs. Bowen begins abruptly: “Yes, I really wanted to catch the measles. I succeeded.” The statement refers to another episode of Will Bowen and Clemens’s childhood mischief. When a young Bowen came down with the measles, Clemens decided to join his friend in bed to catch the virus and “settle this matter one way or the other and be done with it,” as he revealed in a posthumously published autobiography. But fans will notice in the letter a conspicuous absence of Twain’s characteristic humor and lightheartedness. The turn of the twentieth century was a difficult time in Clemens’s life. Will Bowen, with whom Clemens had been in correspondence for more than 30 years, had recently passed away. Shortly thereafter, in 1896, Clemens’s daughter Suzy died of meningitis. Around the same time, Clemens was forced to declare bankruptcy after investing $300,000—worth approximately $8,000,000 today—in the Paige typesetting machine, a dysfunctional technology that quickly became obsolete. Follow the Ransom Center on Facebook, Twitter, or Tumblr. 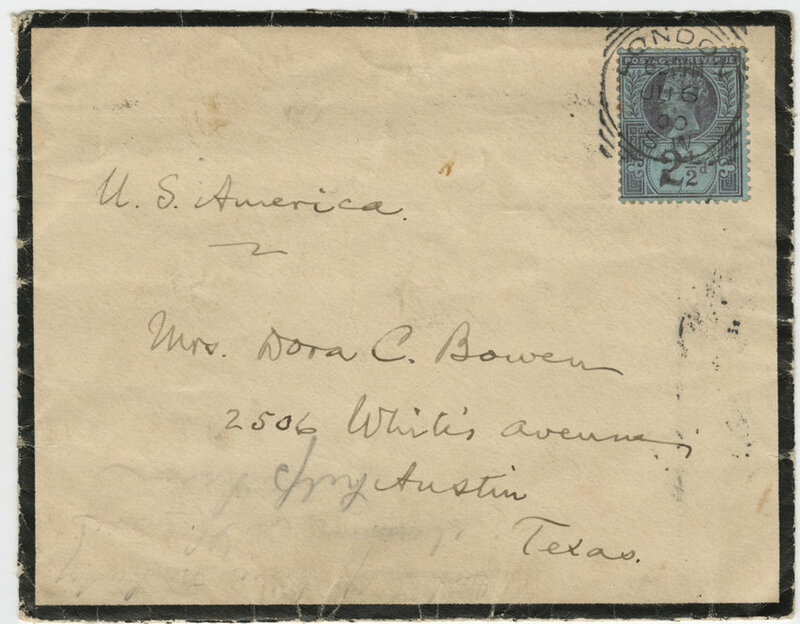 The envelope for a letter from Samuel Clemens to Dora C. Bowen at 2506 Whitis Avenue, where the Jesse H. Jones Communication Center now stands today on The University of Texas at Austin campus. 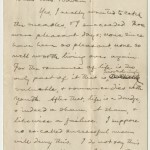 Letter from Samuel Clemens to Mrs. Dora Goff Bowen, dated June 6, 1900. 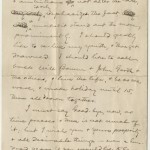 Second page from a letter from Samuel Clemens to Mrs. Dora Goff Bowen, dated June 6, 1900. 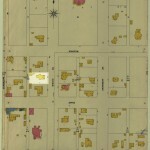 A 1900 Sanborn map, used to estimate fire insurance liabilities, depicts Bowen’s house and the surrounding neighborhood at the time the letter was written. The highlighted area shows the location of Bowen’s house on the map. Image courtesy of the Estate of Samuel Beckett. This playful doodle depicting a man in a hat in the south atrium of the Harry Ransom Center is from the second of seven manuscript notebooks for Samuel Beckett’s Watt. The notebooks are remarkable artifacts reveal Beckett’s process of writing, amending, and editing, but they also contain doodles, drawings, mathematical proofs, and musical notation written in pen, crayon, and colored pencil. Beckett wrote Watt in Vichy France during World War II from 1940 to 1945; it was the last novel he wrote in English. In the 1920s, Beckett had assisted James Joyce with research for Finnegans Wake, and Joyce’s style had a profound impact on his early work. After the war, Beckett had an epiphany while visiting his mother in Ireland, which precipitated his move to the sparser style of his later works. Beckett began work on the book in Paris, but he and his companion Suzanne Deschevaux-Dumesnil had to flee the city when the location of their resistance cell was compromised. Beckett wrote the second half of the novel while living in Roussillon in southern France. The novel was not published until 1953, after the publication of his trilogy of novels (Molloy, Malone Dies, and The Unnamable) and Waiting for Godot, all of which were written in French. Beckett is noted as having said that Watt was written in “drips and drabs,” as a way to “stay sane” during the war, and the manuscript reveals why the published text may seem uneven. The manuscript is “illuminated” with a range of doodles, sketches, and marginal notes, and has been likened to the illuminated Book of Kells, the Irish national treasure located at the Trinity College library in Dublin, where Beckett received his B.A. Like the Book of Kells, Watt was created in isolation, is looked upon with reverence, and is abundantly illustrated (at least in the notebooks). Viewing the 945-page manuscript—with its layers of revision, doodles, and drawings marked with different pens and colored crayons—makes the complexity of its writing process apparent. The very structure of Watt is unusual: doors open after they have been discovered to be locked; the narration changes from omniscient to the point of view of an ordinary person, and then back again; a musical score and mathematical allusions are incorporated in the text; and an Addenda section contains items intended for—but not brought into—the main work. The original manuscript offers scholars the opportunity to decipher changes to the text, to interpret when they were made, and to try to see the original intent of the author. The Ransom Center holds a broad range of Beckett’s manuscripts and correspondence. The Samuel Beckett collection includes manuscripts for more than 35 works, 400 letters, a collection of first editions, critical and biographical works, ephemera, and programs from performances. 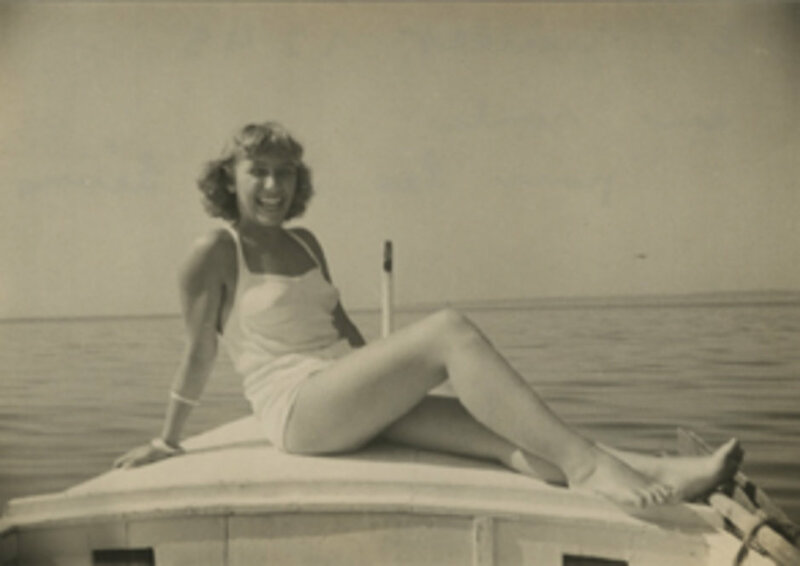 The library of collector T. E. Hanley comprises the majority of this collection, and the Carlton Lake collection provides a small but noteworthy sample of letters, manuscripts, and photographs. The holographs held by the Ransom Center—six of which were gifts from Beckett himself—include Murphy, Watt, Molloy, Malone Dies, The Unnameable,Waiting for Godot, Krapp’s Last Tape, Play, Mercier and Camier, and How It Is. Ransom Center volunteer Sara Childress wrote this post. Eadweard Muybridge. "Horse in Motion," Photography collection, Harry Ransom Center. It may come as a surprise in the twenty-first century to discover that in the 1880s, details of how objects move were unknown. The human eye, unaided, cannot resolve the details of fast motion. Eadweard Muybridge and his experiments with motion photography—such as this series of pictures of a horse’s gait—helped solve this mystery. Born Edward Muggeridge in 1830 at Kingston upon Thames, upriver from London, he was unsatisfied with life in the small English town, and by 1850 he had left to make his fortune in the United States. Little is known about him until he arrived in San Francisco, California, five years later. 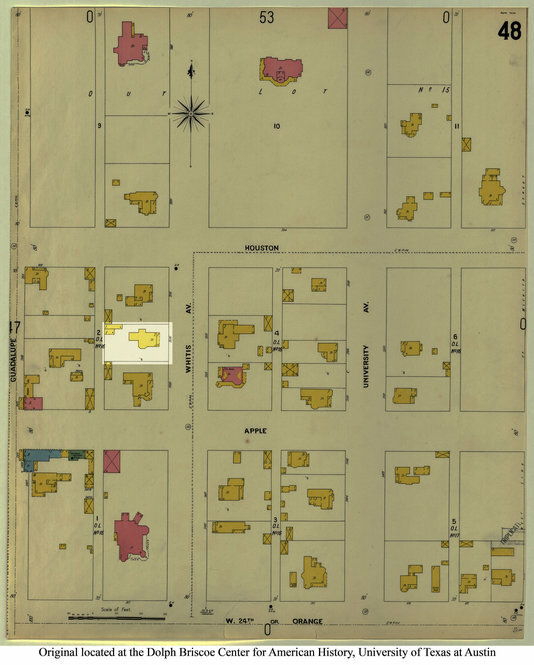 In 1855, the city of San Francisco had been settled only six years prior, and it provided the wide-open possibilities for which the young man was looking. After a short time as a bookseller, and a change to the more striking name by which he is known today, he took up photography from a daguerreotypist and worked for the photographer Carleton Watkins. He made coastal surveys, and soon he had gained fame for his spectacular images of Yosemite and Alaska. His most famous work began in 1872 when he was hired by Leland Stanford (later the founder of Stanford University) to photograph horses. Stanford reputedly had made a bet that for a moment, all four of a racehorse’s hooves are off the ground simultaneously, and he hired Muybridge to take the pictures to prove him right. This was difficult to do with the cameras of the time, and the initial experiments produced only indistinct images. The photographer then became distracted when he discovered that his young wife had taken a lover and may even have had their child by him. Muybridge tracked down the lover, shot, and killed him. When Muybridge stood trial, he did not deny the killing, but he was acquitted nonetheless. Muybridge left San Francisco and spent two years in Guatemala. On his return, Muybridge resumed his photography of horses in motion, this time far more successfully. He set up a row of cameras with tripwires, each of which would trigger a picture for a split second as the horse ran by. The results settled the debate once and for all: all four hooves do leave the ground at once, as the top middle image in this sequence demonstrates. Muybridge spent the rest of his career improving his technique, making a huge variety of motion studies, lecturing, and publishing. As a result of his motion studies, he is regarded as one of the fathers of the motion picture. Just as Niépce’s First Photograph had, Muybridge’s motion studies showed the way to a new art form. At the end of his life, Muybridge returned to England, where he died in 1904. The window images show a few of the plates from Muybridge’s collection Animal Locomotion, held by the Ransom Center. The Center also has a number of individual images by Muybridge in the forms of nitrate negatives, lantern slides, and stereoscopic prints. Ransom Center volunteer Alan Herbert wrote this post.